Updated April 6, 2019, 3:03 p.m.
My flagship machines are those that I rely on for my day-to-day computing needs. For many years I relied on a single flagship desktop, and for a few I relied on a single flagship laptop, but in recent years I have adopted a ‘dual flagship’ arrangement where I have both a reasonably powerful desktop and a reasonably powerful laptop. My typical upgrade cadence is that I perform a major upgrade to my flagship desktop when it is five years old, and then replace it entirely when it is ten years old. I replace my flagship laptop every five years. Of course I can adjust this schedule as-needed, and perform an upgrade early if a machine dies or late if it holds up better than expected. Each hardware upgrade iterates my ‘revision’ number. For laptops, this is a simple two digit number (beginning with revision 01, as originally built). For desktops, revision numbers are prepended with an A (for revisions of the initial build) or B (for revisions following the major mid-life refresh). Excelsior is my home powerhouse. It maintains my music collection, manages photos, edits videos, runs various operating systems in virtualization, and serves as my development machine for web and mobile applications. And I built it myself! Revision History: Upgrades from the initial specifications iterate the revision number. Phoenix is a mobile workhorse, which is capable of doing much of what Excelsior can do, but it can do it anywhere. It is a lightweight 2-in-1 that can keep up with pretty much anything I throw at it. 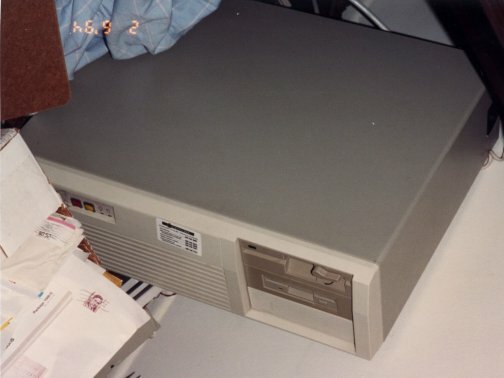 These are the machines that served as my main, day-to-day, stationary workhorse. These are the machines that served as my main mobile workhorse. Generally the augmented a flagship desktop, although occasionally they stood on their own. Not long after Melissa and I were married, we discovered that we had a need between the two of us for a server to back up our data, share files back and forth, and generally keep our home network under control. Because I’m a nerd, it is rare that I limit myself only to my flagship machines. These other machines have floated in and out of my life as-needed, serving as backups, ‘coffee-table’ machines, and other ancillary purposes. Some are desktops, but most are laptops.